People, who have a gleaming, healthy smile, have heightened self-esteem. Also, they communicate with others confidently. However, everyone is not blessed with such a smile. Many people have adverse teeth conditions. Issues such as a missing teeth, misaligned or overcrowded teeth, and similar conditions may undermine the confidence of any person. In case you’re suffering from any such condition, visit our dental clinic Karrinyup to successfully treat the problem. At our clinic, we offer a multitude of orthodontics options in Karrinyup. Some of our most popular orthodontic treatments performed in our Karrinyup Dental Clinic are discussed below. Some individuals have crooked, misaligned teeth that give an unsightly appearance, and also impact on daily activities of life such as chewing and eating properly. Our experienced, professional Orthodontics specialists in Karrinyup, can help to correct these abnormalities through the use of braces. By placing braces around your teeth, our orthodontists will let you correct any misalignment, and narrow gaps present between your teeth. Some people don’t opt for braces as they stay outside the teeth and let others know about the dental problem. They may be embarrassed by the appearance of braces so choose not to correct their dental issues. Our Karrinyup dental clinic offers a range of more discrete options for those who may be embarrassed to wear the more traditional braces. Many people who possess misaligned teeth are too embarrassed to wear traditional braces. This is where Invisalign may be the best option for you. Invisalign corrects misaligned teeth through the use of custom made clear aligners. Just like traditional braces, these aligners gently place pressure on your teeth. Slowly over a period of time, your teeth are moved into the correct position. As they are clear they are virtually undetectable when speaking to other people. Speak to our specialised Orthodontists in our Karrinyup Dental clinic for a comprehensive assessment of your smile, and to see if Invisalign is the best option for you. TMJ – also called temporomandibular joint – can become inflamed and cause pain in jaws. Also if inflamed or degenerative changes appear, it limits the motion in your jawbone. If the problem persists longer, it could cause intense pain as well as discomfort on the face and neck. Orthodontists at our dental clinic Karrinyup offer a range of remedies to treat this kind of dental disorder. Popular treatments include braces for fixing mouthpieces or the bite to fix clenching motions. If the issue is serious, a more advanced procedure such as surgery will be administered to treat the damaged tissues in the jaw. No matter the type and intensity of the issue, our experts will cure the condition to your utmost satisfaction. Some people endure intense pain due to jaw or teeth abnormalities. These conditions could be fixed by our experts through surgical orthodontics procedures at our Karrinyup dental clinic. Such a procedure corrects the irregularities in your jaw and re-positions your teeth through surgery in addition to the usage of braces. Treatment options involve a series of braces and modifications followed by surgery to realign the jaw in order to position the teeth for improving your bite. Although an extreme treatment, it’s helpful to folks with severe positioning problems in their dentures. All you’ve to do is schedule an appointment with one of our orthodontists to get rid of the trouble. A wide variety of intricate dental treatments are provided at our dental clinic Karrinyup. Whether you have a problem with your teeth alignment, or irregularities in your jaw, our professionals can cure the problem through suitable orthodontics procedures in our Karrinyup dental clinic. 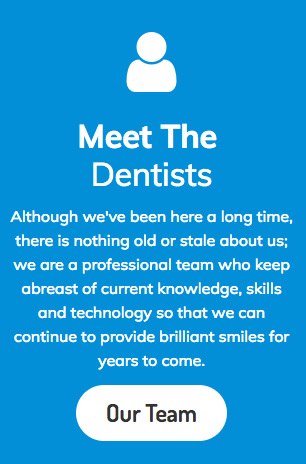 Just call us for your dental problem, and we assure you the best, most professional treatment.